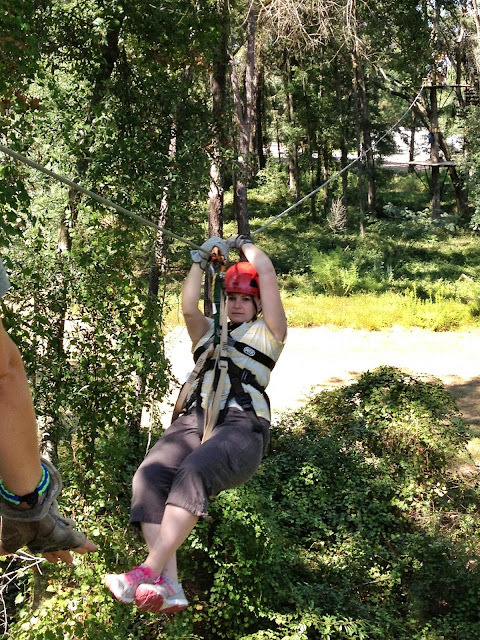 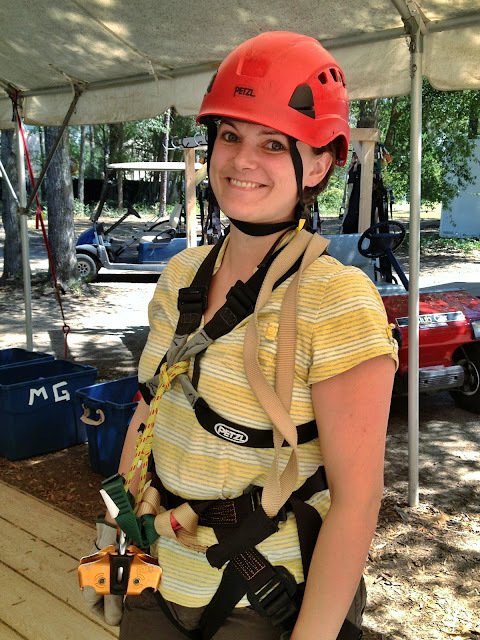 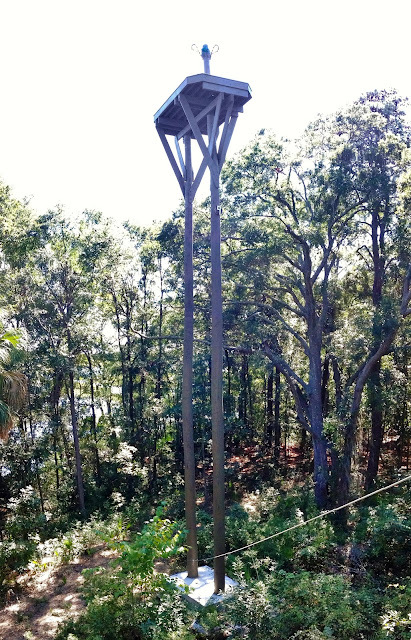 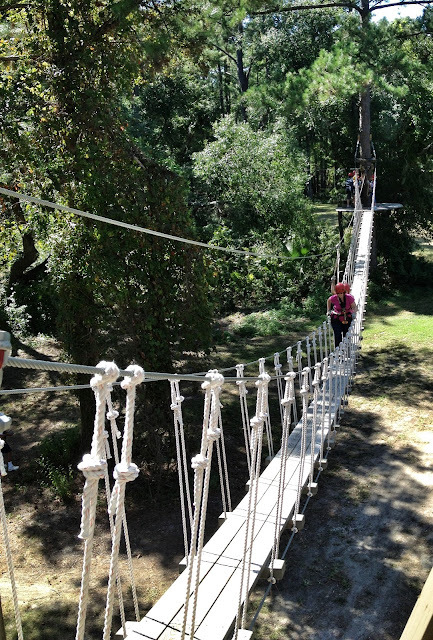 We discovered this ziplining course while researching online for Hilton Head Island activities. 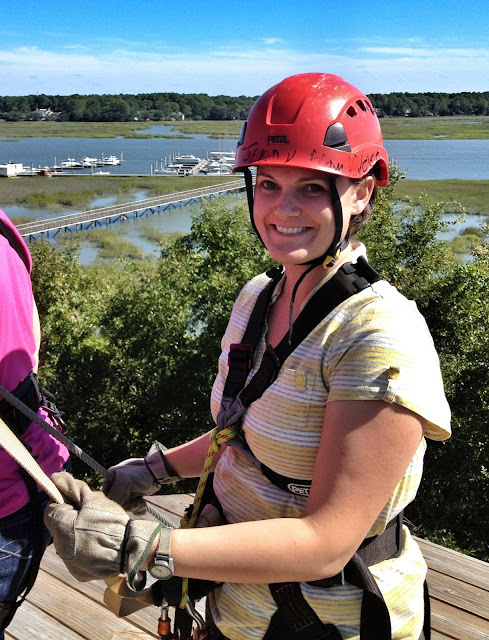 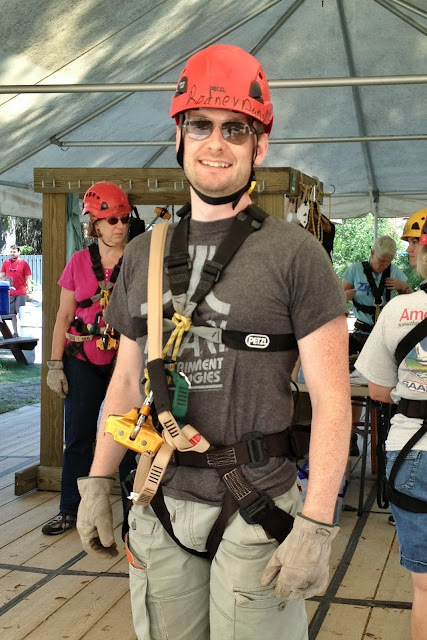 'Ziplining Hilton Head' opened earlier this year. 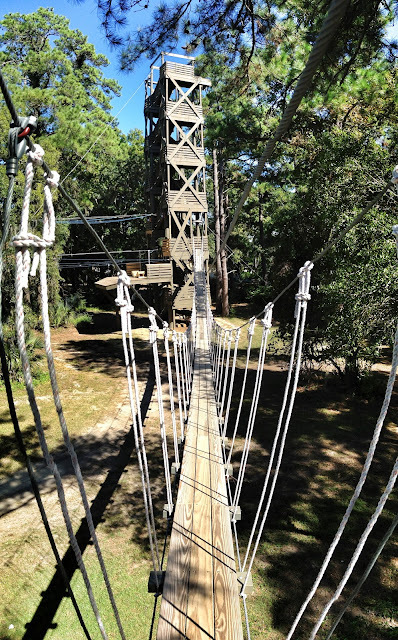 The course consists of rope bridges, stair towers, tree platforms and 8 zip lines, the last of which is a 900' long double racing zip line. 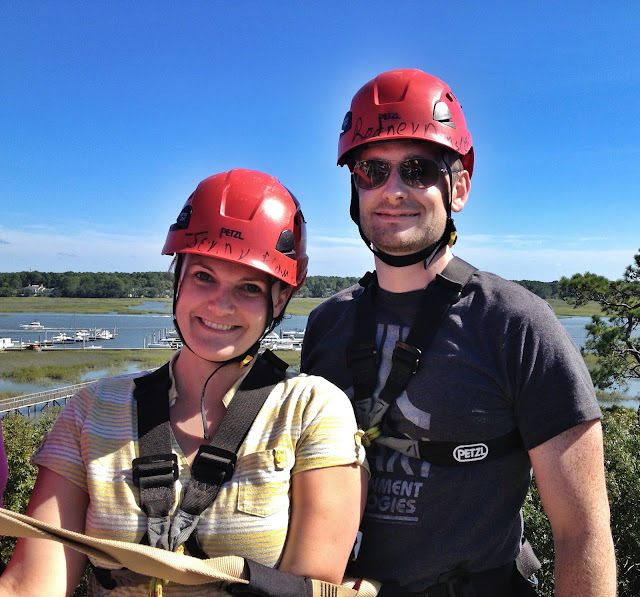 Jen beat me by a small margin on that one. 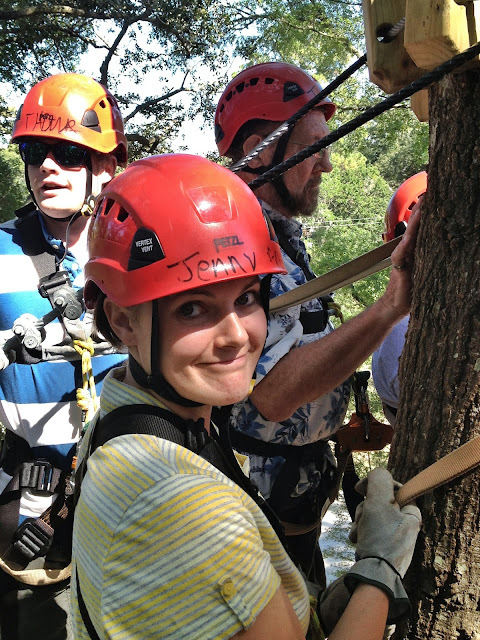 We had a lot of fun and the guides did a great job making everyone feel safe and at ease in the treetops.